Dame Agatha Mary Clarissa Christie, DBE (née Miller) was born 122 years ago today (September 15th, 1890). You may be interested to know that there is a link between Agatha Christie and Mallorca and not an unimportant one. In March 1932, Agatha Christie came to Mallorca for the first time, on the last leg of a long journey that had taken her to the Middle East (Luxor, Cairo and Jerusalem) and beyond. In February 1927, the popular British writer had already resided in the Canary Islands, in the town of Puerto de la Cruz. When she arrived in Palma, she was surprised by the large number of English and American tourists who were in the capital of the Balearic island, making it impossible for her to find a room in any of the three best-known hotels. Everything was packed. She contemplated staying in Formentor instead where hotel prices were considered exorbitant even at that time. Eventually, she passed through Port de Pollença on her taxi ride to Formentor and was immediately fascinated by the view from the bay; she is said to have exclaimed “… this was the site I was looking for…”. Her fascination for the pine trees in Port de Pollença are believed to have inspired her character of Parker Pyne. Agatha Christie reputedly enjoyed going for long walks from the Hotel Illa d’Or to the lighthouse at Port de Pollença, stopping occasionally at Hotel Mar i Cel for tea. 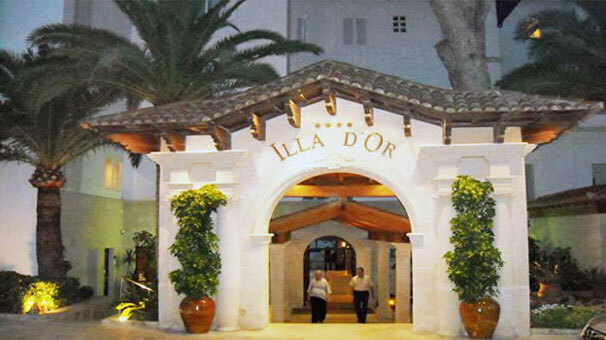 Both hotels, converted to Pino d’Or and Mariposa for literary reasons, became central to the development of the plot of her Mallorcan story, Problems at Pollensa Bay. 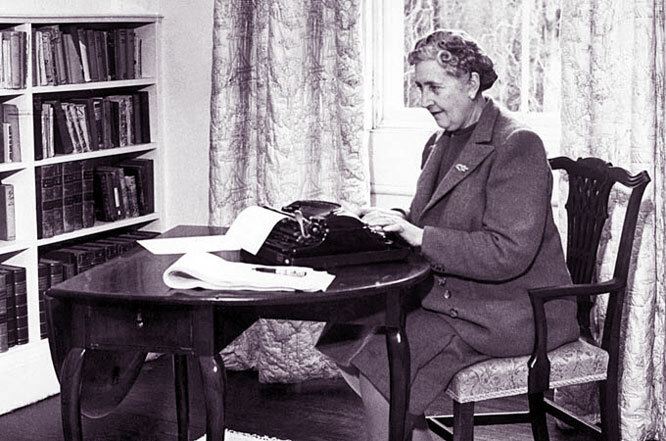 Agatha Christie probably returned to the hotel in 1935. 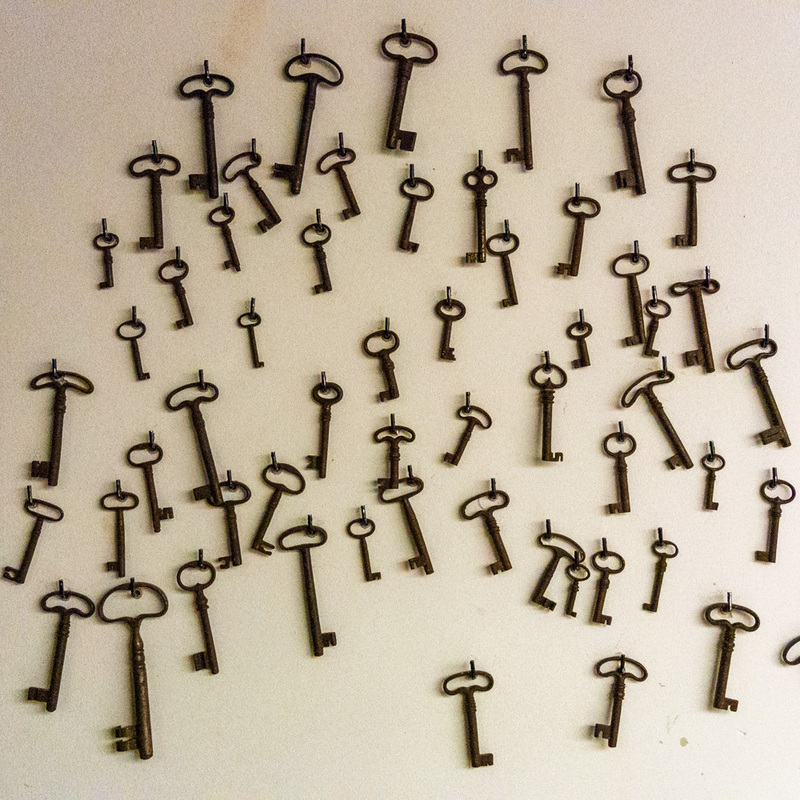 One of the current owners recalls how his mother repeatedly referred to her as “the writer“. The lighthouse in Port de Pollença was expropriated in 1937 by a certain Generalissimo to build a military base whose first tenants were the German Legion Condor who had earlier treacherously bombed Guernica in Northern Spain, in the Basque Land. The writer seems to have returned to Mallorca after the Guerra Civil (Civil War). 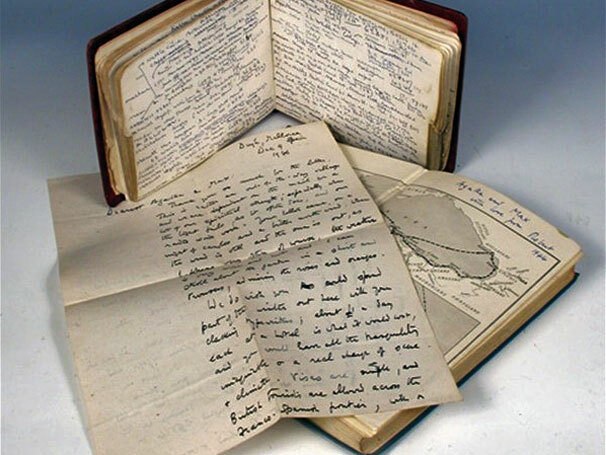 The photo (centre) shows a copy of ‘The Golden Fleece’ by Robert Graves, dedicated to ‘Agatha and Max, love from Robert 1944’, and a letter to Agatha & Max from Robert in Mallorca in 1946 in which he says ‘How nice to send us your blood! Blood donor Agatha! We had already ordered a copy…’. Both items plus Agatha Christie’s telephone directory were auctioned in Cambridge, UK, in 2009. The photos were borrowed from the Internet, courtesy of sensitivehomeschool.com, cheffins.co.uk and accommodationnear.com. The sea around Mallorca belongs to the most popular sailing grounds of the Mediterranean. Sailing boats and yachts can be chartered in almost all marinas but a valid license is required. Beginners will find sailing or surf schools in most ports also with English-speaking instructors. Guided boats tours are available e. g. at the’Caribia Yacht Charter’ at Porto Colom (656.288.179) or ask in your local tourist office. I live in Hauslberg, Austria. I randomly stumble on mallorcaphotoblog.com. I just want to say that I liked your blog post about “Agatha Christie in Mallorca”. The post is really interesting. Christie wrote about Mac’s Bar. Where it was? thanks for your comment. I know, Agatha wrote about Mac’s Bar but so far, I had assumed that it was a fabrication of her brilliant mind. Perhaps I am wrong. Would anyone out there know any better? Please let us know. Hola! I actually live in Mallorca and would like to mention that Port de Pollença is really a nice place. But what is really magnific it is Agatha Christie’s beautifull mind, her borderless imagination and her impeccable characters ( I cried when Poirot died in her last novel…).